Impress your guests with the color, fragrance, and unique settings at the Foellinger-Freimann Botanical Conservatory. Located in downtown Fort Wayne, the Conservatory offers beautiful gardens and a variety of memorable spaces for receptions, parties, meetings, business functions and special events. With distinctive indoor rooms, three indoor gardens, an outdoor Terrace Garden, and beautifully-landscaped grounds, the Conservatory offers flexible, timeless backdrops for your event. To learn more, visit their website. 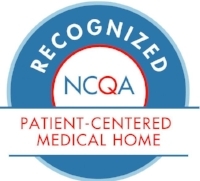 Our Family Medicine Center has been awarded recognition by the National Committee for Quality Assurance Patient-Centered Medical Home Program.